SANTA MARTA, Colombia – As a recognition of their work and commitment to quality, coffee growers from Caldas, Antioquia, Cauca and Tolima were the big winners of the national coffee quality competition “Colombia, Land of Diversity,” organized by the Colombian Coffee Growers Federation (FNC). From the El Paraíso farm, in the Llanitos rural district,municipality of Villamaría in the department of Caldas, Diego Samuel Bermúdez was the winner in two categories (Exotic and Body), which made him earn 50 million pesos (USD 15,960). “I am very satisfied and grateful to my family and work team, who are here accompanying me, and those who made me worthy of these awards,” said Diego Samuel when he heard his name on two occasions. With this competition, the FNC seeks to contribute to improving coffee growers’ profitability by effectively managing purchase prices, stimulate specialty coffee production, and continue to project Colombian coffee worldwide. The 23 best coffee lots of this competition will participate on April 13 in an exciting live auction with international bidders,to be held within the framework of the Specialty Coffee Expo (SCA), the world’s most important fair of its kind, which this year will take place in Boston, Massachusetts, from April 11 to 14. The 47 finalists were present at the award ceremony, which took place in Santa Marta, department of Magdalena, in a festive and brotherly atmosphere with coffee growers who shared their experiences. 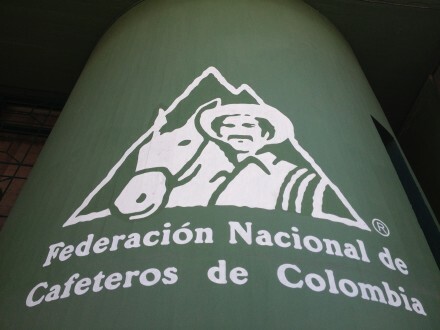 “This competition becomes more relevant at this time, as it generates more income to coffee growers and highlights the call that the institution has made to all market players to recognize the work and quality of Colombian coffee,” Juan Camilo Ramos, the FNC Chief Commercial Officer, said. As an incentive to the competition participants, the FNC invited them to a three-day tour in Magdalena, where the producers also had an important exchange of knowledge, taking into account that coffee farming varies in each zone of Colombia. The producers started with a visit to a coffee farm in Minca, a Santa Marta rural district; then they cupped coffee in the Caficosta Coffee Growers Cooperative, a great ally of the FNC, and the first day finished with a visit to the recently inaugurated Juan Valdez coffee shop, in the capital of Magdalena. As part of this recognition, they also visited the seaport of the city and this Friday they will enjoy a day at the beach.